Michelle Obama is easily recognizable to young readers, but has had a life few children have had the chance to learn about. This topical, engaging volume brings the story of an incredibly intelligent, motivated, deeply dedicated person to vivid life. 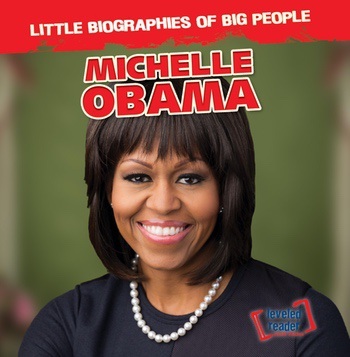 Young readers will easily engage in Michelle Obama’s life through the meticulously uncomplicated, age-appropriate language and explanation of concepts provided throughout this inspiring story. This highly requested biography is sure to be a quick hit in any collection, educating and inspiring readers to achieve their maximum potential.